Do we really need the money? Does anyone of us, priviliged citizines of the western world, need more money? Do we really need to enter the rat race and become even more priviliged? Honestly, we at Radio On cannot help you to answer these questions. We survive and in our spare time we make radio. We survive at the very edge. And it is okay. We only need to pay for webhosting, so we work a couple of hours more. No sweat. The same if we need some new equipment. It goes, the radio goes, you connect and there we are. Sometimes we even go live on air. So why do we need money? Well, maybe we can work a bit less and have more time available to make more radio shows, or buy a bottle of wine for our guests, send a postcard to a dedicated listener. 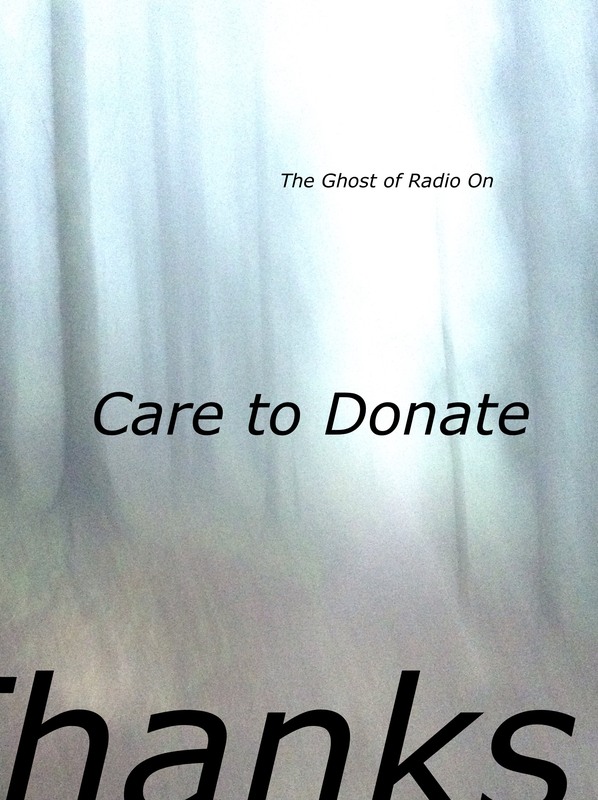 Or the reason that we set up this campaign is simply to find out that you, dear listener, exist, and would like to express your support in donating a fistfull of dollars. We will thank you live on air. And we will continue making radio.